HCM CITY (VNS) — The domestic structural steel market has seen a growth rate of between 25 and 30 per cent in sales thanks to the strong recovery of the domestic real estate market, according to independent market watch-dogs. The analysts said that the market's demand for building materials, especially structural steel products, had strongly increased since the beginning of the year. 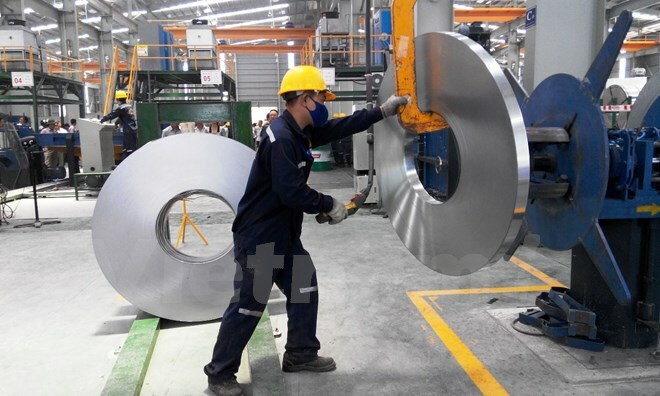 According to a source from the Viet Nam Steel Association (VSA), in the first seven months of the year, VSA member companies sold 3.57 million tonnes of steel products, registering a year-on-year increase of 30 per cent. To meet the market's demand, VSA steel companies have had to operate at nearly full capacity. As a result, in July alone the companies produced 613,000 tonnes of structural steel, up by nearly 51 per cent compared with the same period last year. 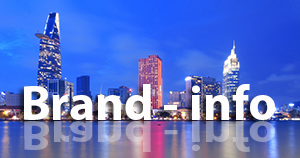 Industry insiders said the figure set a record for the last decade, when the property market began to slow down. A representative of the Hoa Phat Steel Joint Stock Company in Ha Noi said the company sold 785,000 tonnes of steel products in the first seven months of the year, a year-on-year increase of 51 per cent. Meanwhile, the Hoa Sen Group in the southern Province of Binh Duong, which holds the biggest share of the steel sheet market, said it had targeted selling 900,000 tonnes in the first nine months of this year, up by 17 per cent. Dinh Cong Khuong, chairman of the Khuong Mai Steel Trading Service Company, which specialises in steel imports, said the company's imports increased by 25 and 30 per cent. Analysts attributed the domestic steel industry's strong consumption growth to the recovery of the economy and the real estate market. According to the National Financial Supervisory Commission (NFSC), the country's GDP in the first six months reached 6.28 per cent compared with the same period of 2014 and is on a trajectory towards recovery. It is predicted to be 6.4 per cent in the first nine months of this year and 6.5 per cent for the entire year. Analysts also said that revised laws on housing and real estate businesses had made the Viet Nam's property market more attractive. 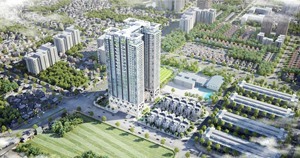 CBRE Vietnam has reported that hundreds of apartments in HCM City were sold to foreigners right after the Housing Law took effect in July, with Vingroup's Vinhomes Central Park alone having 112 apartments sold to foreigners. Real estate developer Novaland said that overseas Vietnamese made up 10 percent of the company's total transactions in July, according to news website VnExpress. Another major housing developer in HCM City, Phu My Hung, also reported over 100 successful transactions with foreigners and overseas Vietnamese in the last month. Analysts said that while the market demand for building materials, including steel products, was increasing strongly, the price of products fell significantly, particularly after the Chinese yuan was devalued. 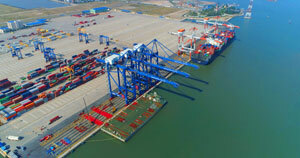 Figures from the General Department of Customs show that by mid-August, Viet Nam had imported nearly 9.22 million tonnes worth US$4.832 billion, of which 5 million tonnes, or 60 per cent came from China. Meanwhile, the prices of imported steel products fell by 21.3 per cent, the office reported.